Join us for a community workshop on January 23rd in Kew Gardens! Thanks for speaking to the Street Ambassadors at JHS 190! Thanks to all we spoke to at the Beacon Program at JHS 190. We had good discussions with students, parents and staff about the future of Queens Blvd. Thanks for your input to the 2018 Feedback Map. 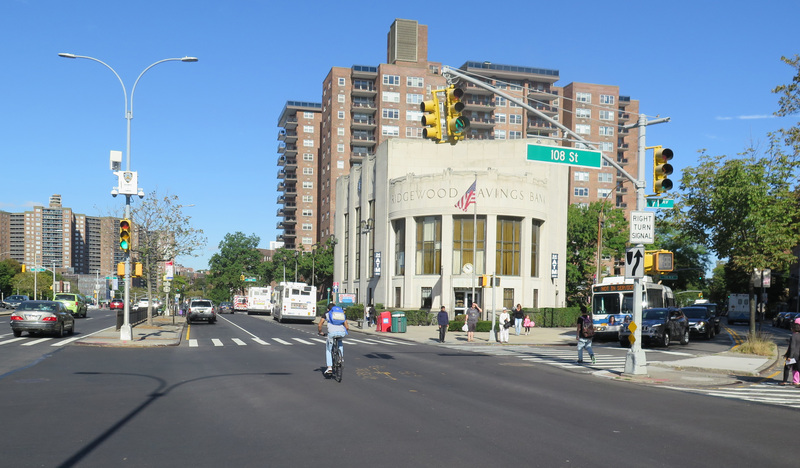 The map is now closed for comments, however, we encourage you to complete our survey and share your experiences and travel behavior on Queens Boulevard. Thanks for speaking to the Street Ambassadors at Central Queens YM & YWHA! Thanks to all we spoke to at the Central Queens YM & YWHA! We were able to have some good discussions on the future of Queens Blvd. Thanks for speaking to the Street Ambassadors at Forest Hills Library! Thanks to all we spoke to at the Forest Hills Library! If you were unable to make it out, you can participate by filling out a quick survey, located in the menu to the right. The Street Ambassadors in your neighborhood! The Street Ambassadors are going to be in Forest Hills over the next two weeks to talk to people about the next phase of the redesign of Queens Boulevard. The Ambassadors will be stationed in community institutions around Forest Hills to collect feedback. Check back to see where! Over the last 3 weeks, we've being on and around Queens Blvd talking to people about the next proposed phase of the project! We were able to talk to more than 320 people! Thanks for speaking to the Street Ambassadors at 71st St and Queens Blvd! Thanks to all we spoke to at 71st St and Queens Blvd this past Monday. People had a lot to say about the future of Queens Boulevard! Thanks for speaking to the Street Ambassadors at Union Turnpike and Queens Blvd! Many thanks to all we spoke to at Union Turnpike and Queens Boulevard last Friday. People were very enthusiastic about the future of Queens Boulevard! Thanks for speaking to the Street Ambassadors at Forest Hills Stadium! Many thanks to all those people we spoke to at the Chance the Rapper concert. People had great ideas about the future of Queens Blvd!